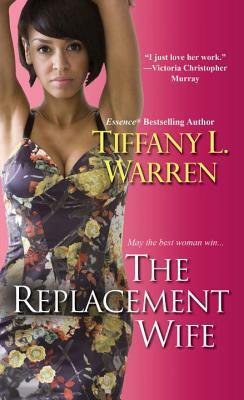 In this page-turning new novel from Essence® bestselling author Tiffany L. Warren, Atlanta's most eligible widower isn't looking to remarry--but for one woman, that's a mere detail. . .
Five years after his beloved wife's death, wealthy Quentin Chambers still hasn't returned to the church or his music ministry. Even his home is now devoid of music, and without his attention, Quentin's five children are getting out of control--until his mother steps in and hires him a live-in nanny. Montana is pretty, compassionate, church-going, and even has a beautiful singing voice. The children take to her right away, and soon enough Quentin finds his heart opening to faith--and love--once more. But not everyone loves Montana. . .
A "friend" of Quentin's first wife, Chloe has been scheming to become the next Mrs. Chambers since the funeral. Chloe is convinced she's just one seduction away from a marriage proposal. Now she'll do whatever it takes to get rid of Montana--including blackmail, theft--and digging up a troublemaking man from Montana's past. But Chloe forgets she's got secrets of her own, and the tables may turn with a twist she never sees coming. . .
Tiffany L. Warren is an author, playwright, songwriter, mother and wife. Her debut novel, What a Sista Should Do, was released in June of 2005. Her second book, Farther than I Meant to Go, Longer than I Meant to Stay, was a national bestseller. She is also the author of The Bishop's Daughter, In The Midst of It All, Don’t Tell a Soul and The Replacement Wife. In 2006, Tiffany and her husband, Brent, founded Warren Productions and released gospel musicals, What a Sista Should Do and The Replacement Wife. Tiffany is the visionary behind the Faith and Fiction Retreat. Tiffany resides in northern Texas with her husband, Brent, and their five children. Visit her online at www.TiffanyLWarren.com.